Kent has had a history as a farming community and thriving iron ore producer. It is now a rural community of about 3,000 residents located in Litchfield County in the scenic northwest corner. It has a lively mix of rural life, education and the arts. Kent is primarily residential with some small industry and farms. The downtown area has become a day trip destination for many. While there are many small hamlets, such as South Kent and Bulls Bridge, the obelisk Civil War Soldiers Monument at the intersection is a dramatic assurance that you have arrived in downtown Kent. The monument is in the center of town at the intersection of State Route 7, a major north-south road and Route 341, an east-west road. The downtown area is a mix of residential homes, shops, art galleries. and restaurants. Most of the businesses are owner operated, so take the time to stop and talk to the owners about town. >> Learn more about the town of Kent, CT.
Click to easily view Kent homes for sale, luxury homes for sale in Kent, and land for sale in Kent. South Kent antique, circa 1900, once upon a time a one room school house. This charming cottage features a cathedral ceiling, framed in bedroom, bathroom and staircase to a loft. Recent additions include a cupola on the roof and electric upgrade from 100A service to 200A. Bring your imagination and create the perfect small house. This home is being sold in "as is" condition. Bank owned...5.84 acre parcel (aka lot #8 saint john's peak subdivision) don't miss this "once in a lifetime" opportunity to build your dream home now in gorgeous kent. Beautiful community near kent center and lake waramaug. Buyer to use their own due diligence. Listing Courtesy of Advantage Realty Group, Inc. This great home has Spectacular views of Lake Waramaug. 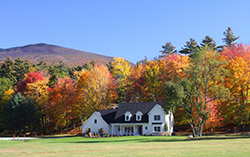 Enjoy this spacious home for fall or winter in Litchfield County. Country at its best hiking trails, skiing at Mohawk Mountain, skating at Spectacle access to community building, holiday time in New England. or just relax in front of fire on those cold winter days and nights. Perfect for Families of all ages. No pets, no smoking. AVAILABLE @ $5,000 per month thru Memorial Day. Endless Views in South Kent. Light filled rooms and expansive living spaces. Open chef's kitchen with counter seating , dining area and fireplace. Living room with fireplace and media room. Newly painted and updated. Minutes to the many shops and eateries in Kent Center and Villages of Washington. State parks land trust hiking trails nearby. Also available July 2019 @ $17,000. Tenant pays for weekly pool and lawn care. 100 feet of road frontage in prime commercial area in the heart of Kent. Building has a 2500 sq. ft. basement with two large walk-in vaults. Modern two-story barn addition has 1700 sq. ft. currently used as studio and shipping space. Building has central AC, four-zone heat, oak and plywood floors, town water and sewer. Multiline commercial phone system and multi-media wiring are already in place. Also includes 2 bathrooms, one ADA c9ompliant. Full alarm system. First Floor Commercial Unit in the Heart of Kent's Village on Main Street! Display Your Talents & Gifts! Reap the Benefits! First floor commercial 1,045' Unit is bright with natural light, from the floor to ceiling windows that open to the Courtyard and Main Street. With Architecture bump outs, maple floors and high ceilings with track & recessed lighting gives the unit a touch of class. In addition there is a half bathroom with sink, safe and 948' basement for storage, security system and elevator. Included are There are two public bathrooms on the first and second floor of the building. What's Your Niche? Ice cream/soda fountain shop, retail, art supplies, deli/restaurant, non-profit, office supplies, music/under garments/sports/toys/general store, candy stop, etc … Located on Main Street in the Heart of Kent Village. Bring Your Gifts & Talents! Make Your Place the Destination! First Months Rent is Free ! This charming cottage, offering peace and privacy on lovely Spooner Hill Road, is now available as an annual rental. The main level has a spacious living room with an exposed beamed ceiling, new propane "fireplace," natural pine floors and French doors opening to a generous deck. The kitchen adjoins the dining area, and there's also a full bath and washer/dryer on the main level. The upstairs with all new carpeting has two bedrooms and a full bath. Both baths have been updated and the interiors and exterior recently painted. Cable available and satellite an option. The property is located on one of South Kent's most scenic roads, and it's close to the village of Kent, Lake Waramaug, hiking trails, skiing, and NYC trains (about 90 miles to NYC). The perfect retreat for weekenders or for full-time living.